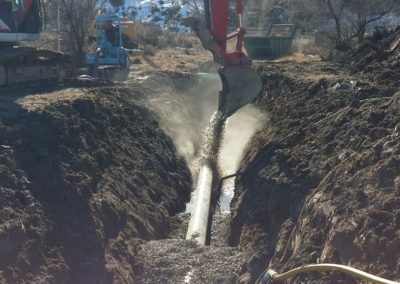 Neal Subdivision Sewer Line | Kissner GC, Inc.
KGCI tied into the existing sewer main that fed the lagoon and ran the new sewer pipe down a 43-degree grade, across private property, down a county road ROW, under the Uncompahgre River, and finally tied into another sewer main approximately one mile away. 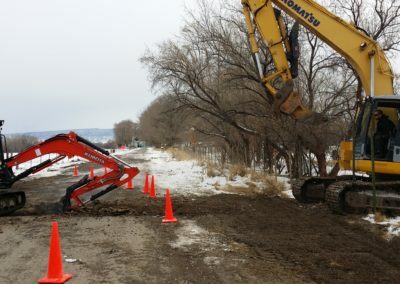 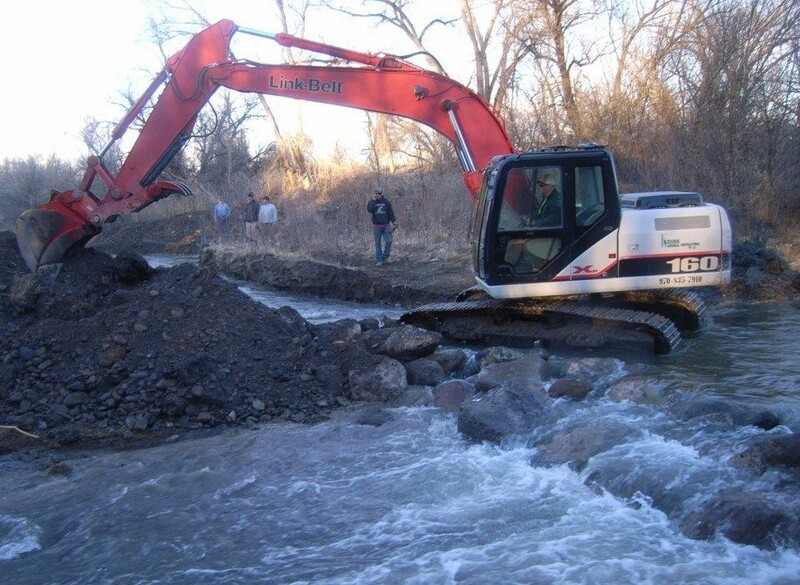 Dewatering operations were constantly going due to the high-water table. 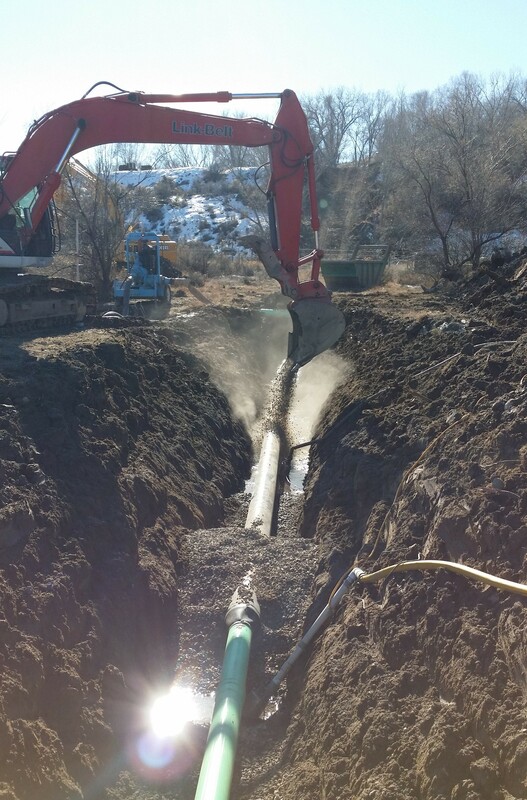 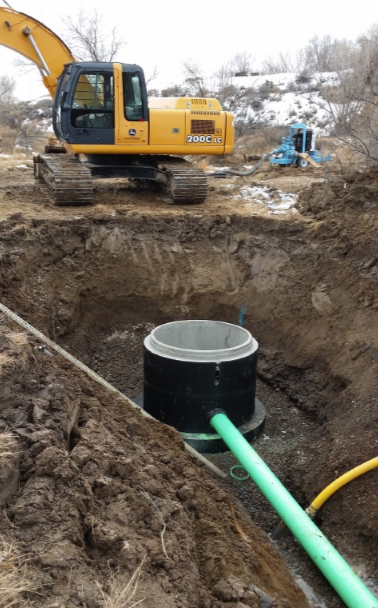 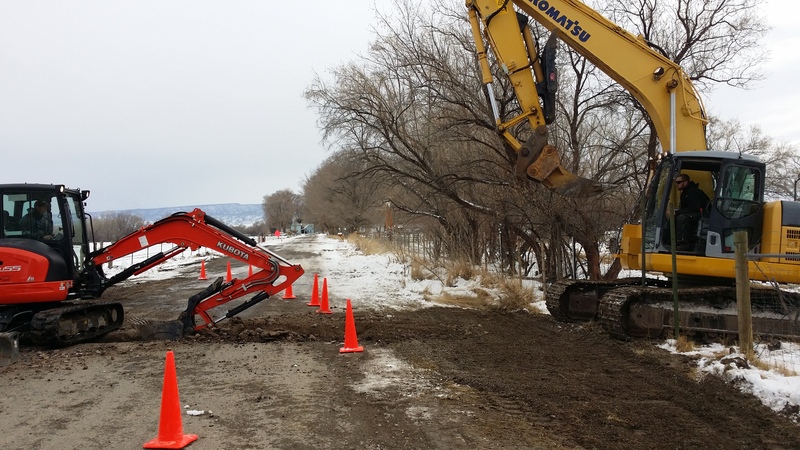 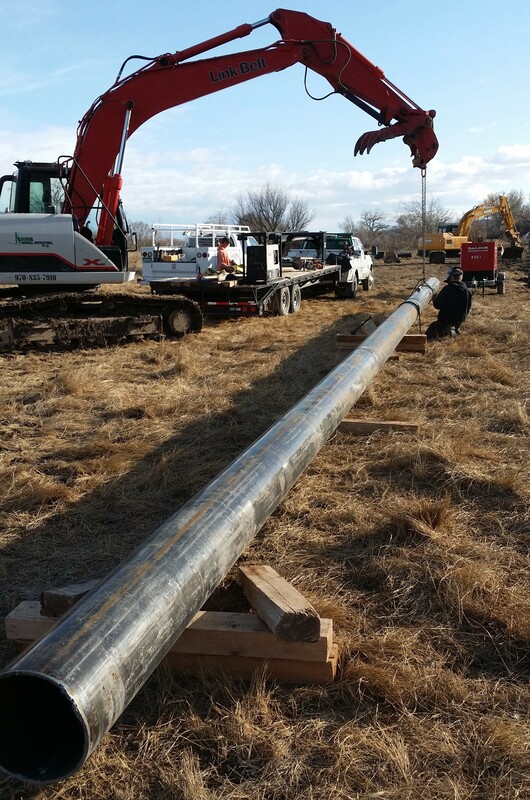 KGCI used 3″ submersible pumps every 200 feet to mitigate the 3-foot water-table depth.